Thaicom Public Company Limited (Stock Exchange of Thailand: THCOM) and Bangladesh Communication Satellite Company Limited (BCSCL) have signed a multi-year consultancy service agreement. Under the agreement, Thaicom will provide BCSCL comprehensive business and market development services for the Bangabandhu Satellite-1, the first geostationary satellite of Bangladesh that was successfully launched on May 11, 2018. The contract is a next critical step in the national objective to narrow the digital divide and promote the digitalization process in Bangladesh. The satellite program will enable the country to fulfill its demand of satellite related services by itself and will introduce broadcasting and telecommunication services to rural areas of Bangladesh and other countries in Asia. The Bangabandhu Satellite-1 will also support rescue operations in the aftermath of disasters. Md Saiful Islam, Managing Director of Bangladesh Communication Satellite Company Limited (BCSCL), said that the company is pleased to partner with Thaicom in order to develop the firm's Bangabandhu satellite program and future markets. 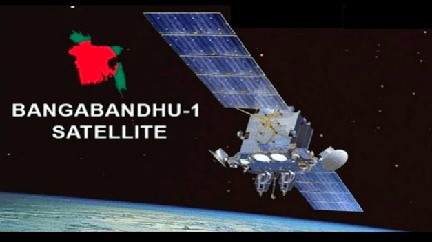 The Bangabandhu satellite system represents an opportunity for the Nation to provide advanced communications and broadcasting access, including high-speed internet and DTH broadcasting services for the citizens of Bangladesh and people in other Asian countries in a cost-effective manner. This partnership with Thaicom demonstrates a key step in the company's commitment to increasing economic growth, and enhancing the quality of life for all Bangladeshi citizens through nationwide access to telecommunications. Anant Kaewruamvongs, CEO of Thaicom, noted that the company is proud to be able to participate in this historical milestone for Bangladesh and to have been selected to assist the country in the business and market development of their Bangabandhu Satellite-1 in several Asian countries. Thaicom has many years of experience and expertise in developing complex satellite programs and deploying services on the ground to mitigate the digital divide in the Asia Pacific. As with IPSTAR, Thaicom was the first company worldwide to launch a high-throughput satellite back in 2005. Patompob (Nile) Suwansiri, CCO of Thaicom, commented that the contract demonstrates Thaicom’s ability to provide a broad range of commercial services to support governments and corporations in their development and implementation of complex satellite programs. BCSCL can draw upon our vast experience in developing markets and providing cost-effective satellite communication services on an end-to-end basis. Thaicom has been involved in various projects and aspects of satellite infrastructure and business development in Asia and Africa in the last 20 years.